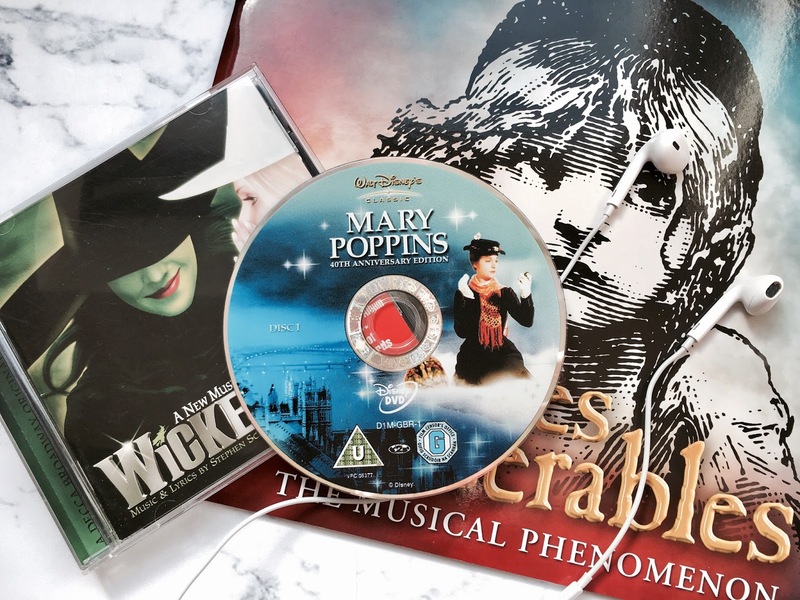 After Tuesday night's lovely #GRLPOWR chat, of which the topic was Musicals, I have been inspired to write a post sharing some of my favourite songs from musicals. 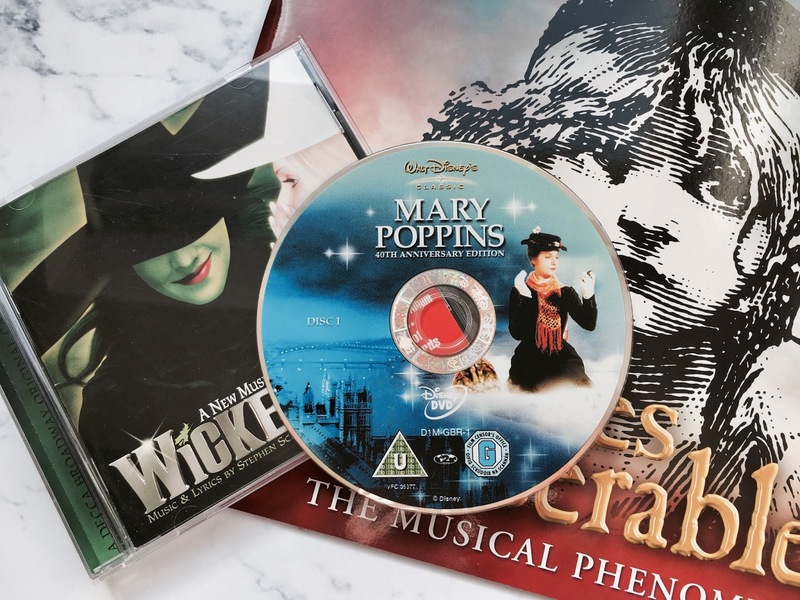 I have a variety of different genres of music I like and I feel like musicals is one I very rarely write about on my blog, even though I loved chatting about them so much the other night. I have a musicals playlist on Spotify that I am always listening to, so today I thought I would round up a few of my favourite songs from it! I grew up watching Mary Poppins and The Sound Of Music - I feel really lucky I've managed to see them both on stage; The Sound Of Music only last year although Mary Poppins was when I was four so I don't remember a whole lot! 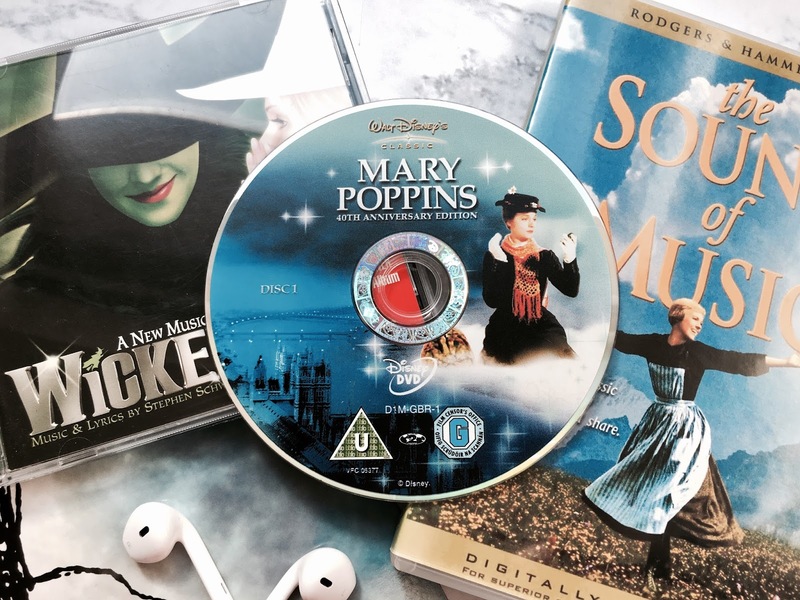 Although I loved the classic Supercalifragilisticexpialidocious when I was younger, nowadays I much prefer A Spoonful Of Sugar and Feed The Birds - I especially love the instrumental Feed The Birds section on the overture, it's so heavenly. As for the Sound Of Music, My Favourite Things is my favourite of the musical because it's uplifting and such a classic. I also quite like Edelweiss and The Lonely Goatherd, it's a bit out there but I think it's really fun. Les Miserables has a wonderful soundtrack, and a long one at that, since the whole musical is purely singing! One of my favourites has always been Do You Hear The People Sing but recently I've loved One Day More as well, it has a really good build up and features many of the characters. On My Own is another of my favourites from Les Mis because it is sung by Eponine and I will always remember how utterly blown away I was by Carrie Hope Fletcher singing it as Eponine a couple of years ago. Defying Gravity has always been one of my favourite musical songs and I am sure I'm not the only one! Elphaba is so powerful in Defying Gravity and I love the duets between Elphaba and Glinda in Wicked. I also totally class the High School Musicals as musicals and my favourite of the trilogy is by far the third one, Now Or Never is my favourite but also Right Here, Right Now because it is possibly my favourite Troy and Gabriella duet. Tracks from the La La Land soundtrack are a new addition but many are firm favourites, particularly Another Day Of Sun - I can't think of a better song to begin the day with than it - and A Lovely Night. City of Stars was my favourite originally but I think I overplayed it because I don't play it as much now. I'm not a huge lover of instrumental pieces (apart from the overtures) but Mia And Sebastian's Theme is truly beautiful. 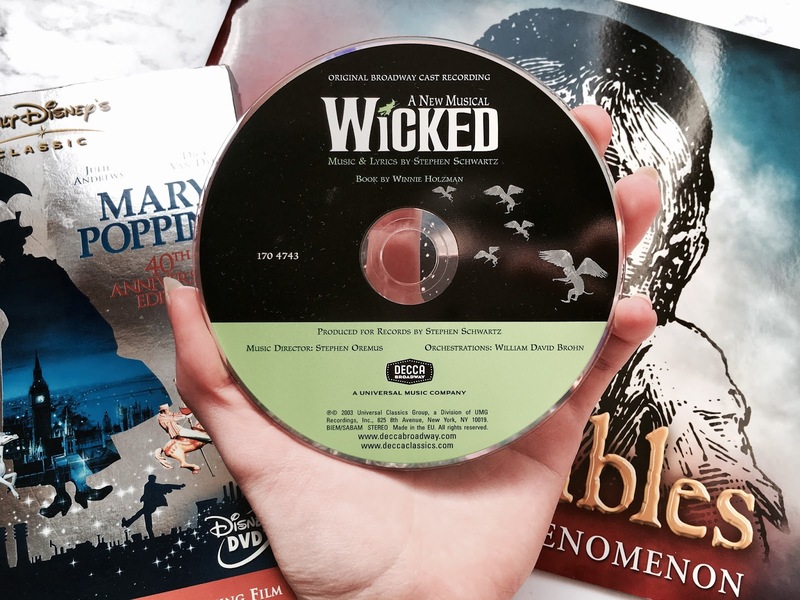 View my whole musicals playlist on Spotify below to see everything I've been listening to! If you love musicals as much as I do I would love to hear your favourite songs below! 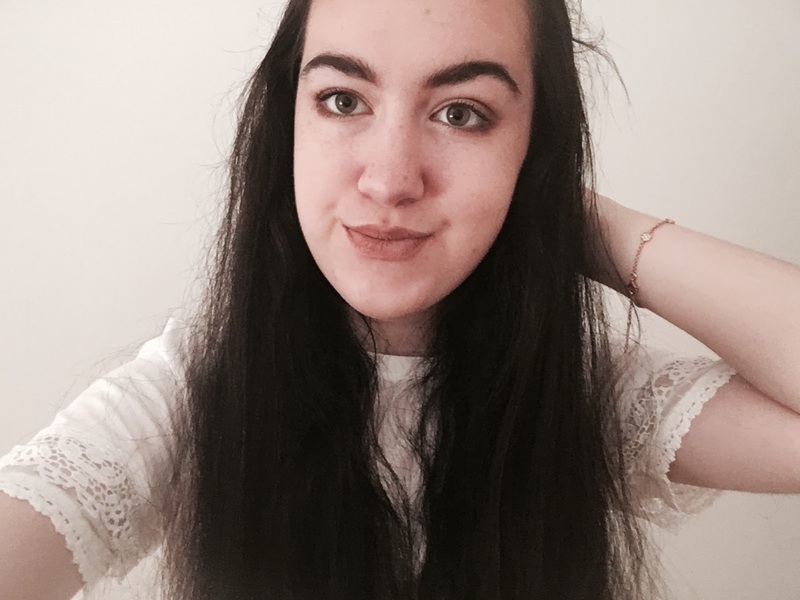 I'm an absolute musical junkie, and I love nothing more than blasting out and singing along to musical soundtracks, Mamma Mia is one of my favourite to do so.